Hey everyone, I wanted to drop in real quick and post about some changes that will be coming to Beyond the Bite. I just recently got married and have found myself to be in a big transition period in many areas of my life. Since the blog has always been a place for me to share my journey with Lyme and connect with others, I decided it needed to come along with me on during this time of transition. Come August I will be back at school to complete my degree and apply for PA school. You may have seen me mention it in the past, but it is my dream to have and (or) work in a facility that uses both food and medicine to help treat individuals and their health complications. During the years that I was sick in bed, sitting on the couch, or staring at hospital ceilings, I made lists of all the things I was using to heal and thus have at the future facility. I’ve been set on achieving this goal ever since and began my journey towards it with the completion of culinary school. From there I began my personal chef business, A Clean Slate. While I helped many people heal through the power of food, it is now time for me to continue towards this ultimate healing facility through becoming a PA. Though my husband has an amazing and flourishing functional fitness gym, Fit Force USA, I am going to be honest and say that without a second source of income, the continuing of treatment for my Lyme is a bit difficult. 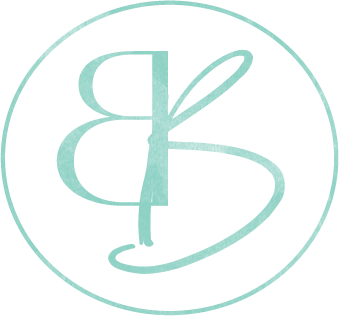 Therefore, because I will not be cooking as much for A Clean Slate, I have decided to move forward with Beyond the Bite as more than simply a blog, but a business. Of course, having the funds to pay for treatment and school is one reason I am doing so, however, it has always been on my heart to really pursue the growth of Beyond the Bite’s community, so that is what I am going to do. Soon, the blog will be updated and it will have a whole new fresh look and feel to it (note: if you are having trouble accessing certain pages, this is why). Along with this change will come the launch of my new Beyond the Bite Membership Club. Becoming a member will mean you have access to exclusive content, recipes, video tutorials, behind the scenes, and even consults and personalized meal plans. It will be a place of great fun, support, and inspiration. I cannot wait to start growing this community bigger and bigger to connect more and more individuals like yourself!